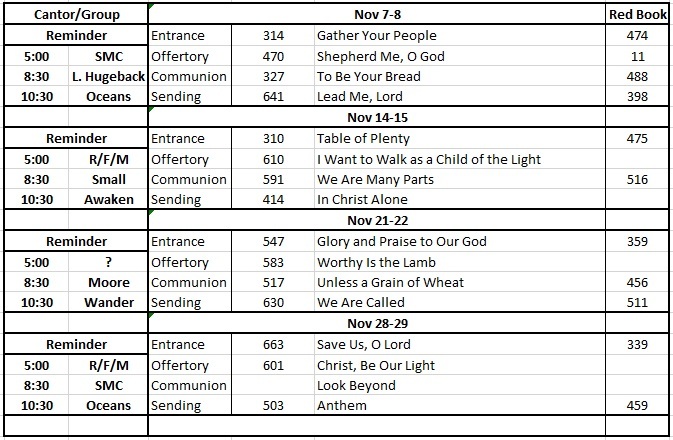 See the calendar below for rehearsal and Mass participation times. Hope to see you there! Contact Chuck Brock at 383-4312 or email chuck@solonstmary.org with any questions or comments!